the circular form of the building is designed as an extension and interpretation of the natural landscape. 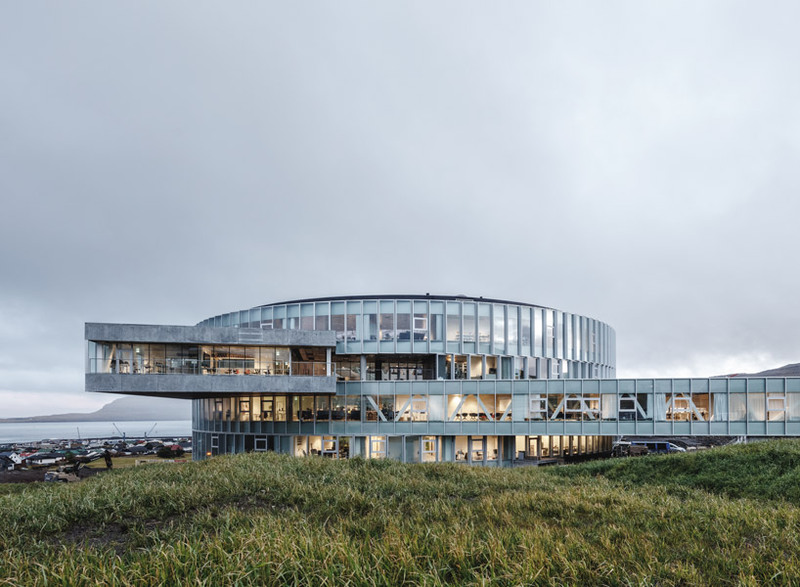 The post BIG nestles ‘glasir’ college into the undulating landscape of the faroe islands appeared first on designboom | architecture & design magazine. 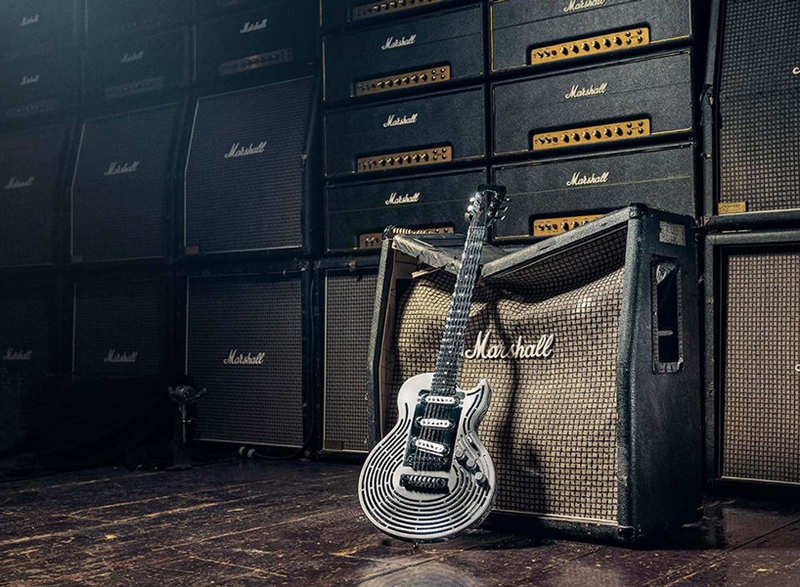 The post rockstar tries to break the world’s first 3D printed, smash-proof guitar appeared first on designboom | architecture & design magazine. Melbourne-based John Wardle Architects has been selected to design Curtin University's new School of Design and the Built Environment in Bentley, Australia. The $110 million building will include five floors of open-plan work spaces for learning and teaching. The new School of Design will be the first piece of Curtain’s Exchange innovation precinct with 2,500 square meters of integrated spaces available for lease by commercial tenants. 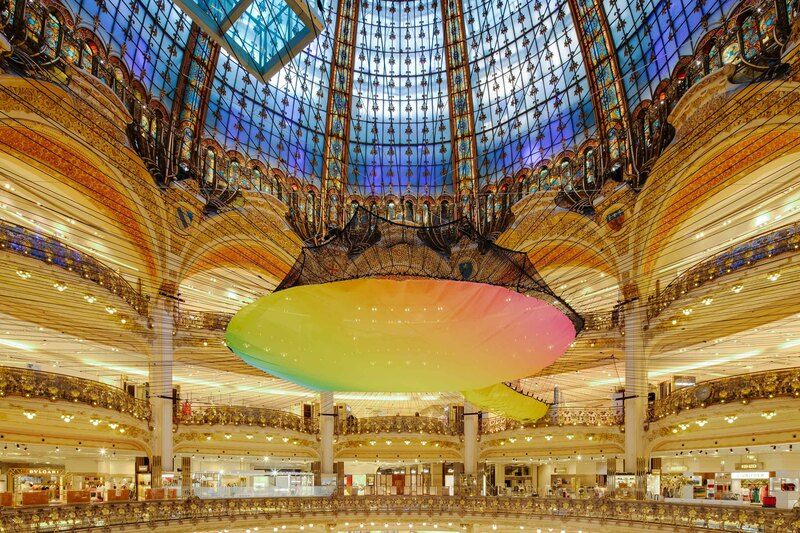 Shoppers at Galeries Lafayette Paris Haussmann can climb to new heights within the building’s domed atrium, bouncing around on a suspended rainbow net and gazing up at the stained glass cupola. Set nearly 40 feet above the ground, the the playful neon net is part of an installation called “Funorama” celebrating the return of summer. 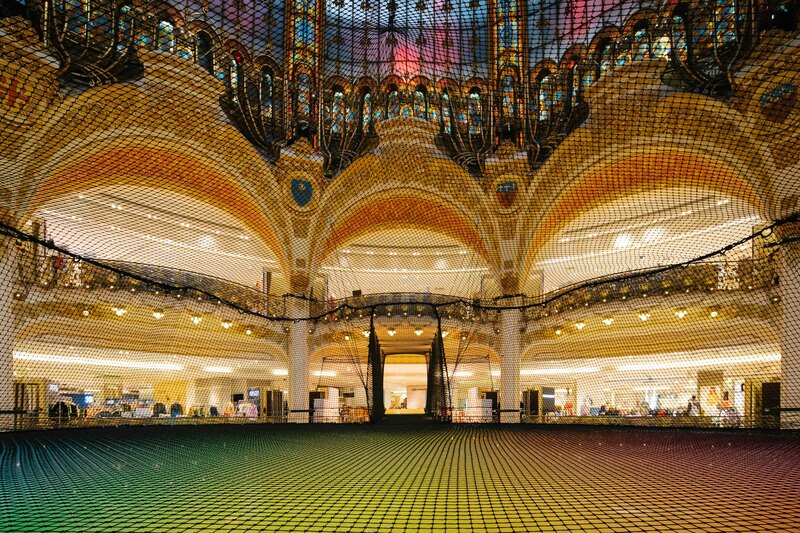 Featuring walkways that stretch out to adjacent balconies, the net invites shoppers to cut loose and have a good time, bringing an air of excitement to the department store flagship. Playing on nostalgia, “Funorama” also features a variety of “fun zones” including vintage arcade games and other retro-themed attractions. The net, however, is unquestionably the star of the program. 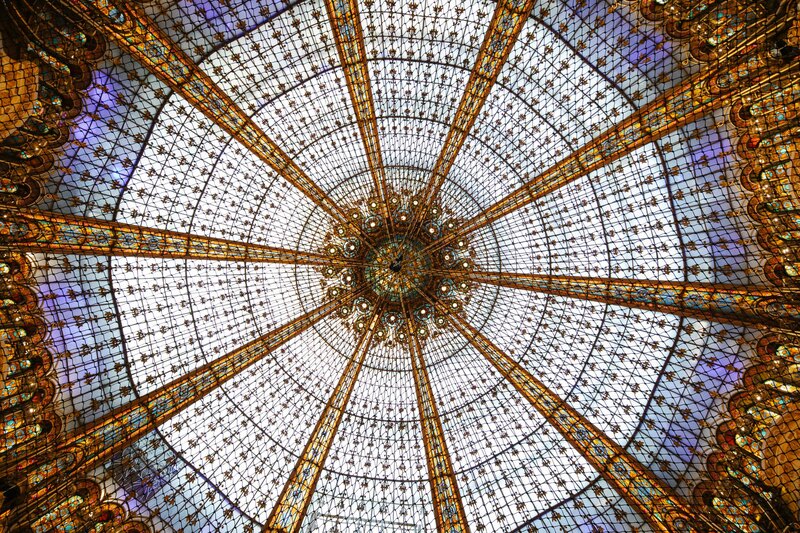 Those brave enough to venture out onto its surface get to enjoy a whole new way to see the art Nouveau-style department store, which opened in 1912. 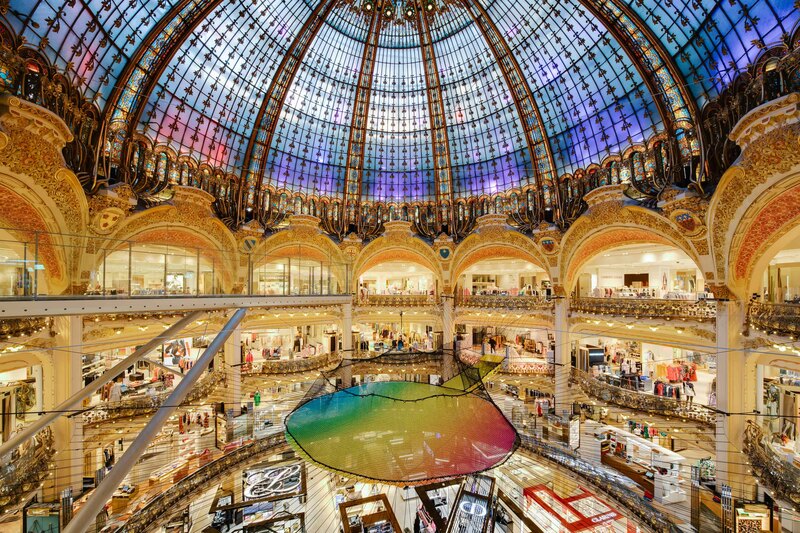 Located in the 9th arrondissement of Paris, near Opera Garnier, the 753,000-square-foot store features panoramic views of the city. Entrance to the bouncy net attraction is free, and it will remain in place through June 9th, 2019. 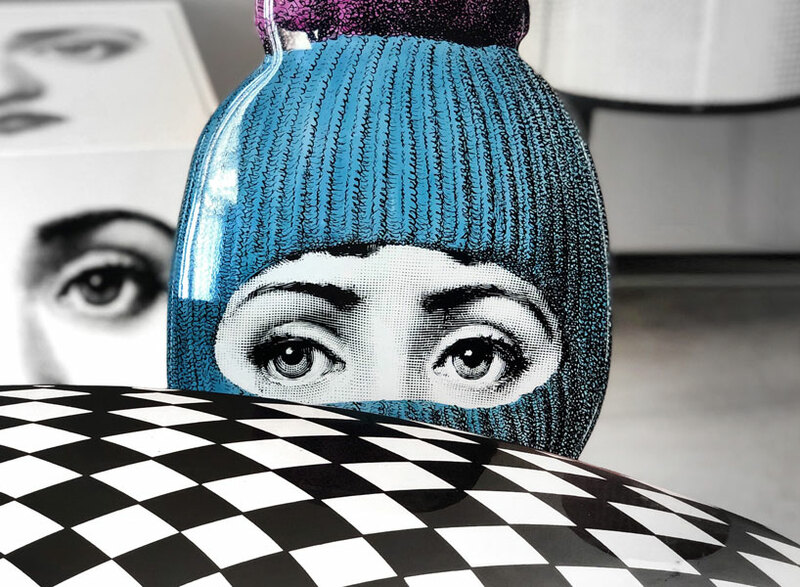 The post fornasetti unfolds a universe of creations and cultural projects for milan design week appeared first on designboom | architecture & design magazine. The post BIG nestles the ‘glasir’ college into the undulating landscape of the faroe islands appeared first on designboom | architecture & design magazine. It is often claimed that “there is nothing more outdated than science fiction.” Indeed, history is awash with speculation on future ways of living, as futurists imagine how advancements in technology, trends, and social norms could alter how we live, and what we live in. The period between 1958 and 1963 could be described as “The Golden Age of American Futurism” where technological milestones such as the founding of NASA coincided with cultural icons such as The Jetsons. Some of this era’s wildest ideas centered on how the houses of the future would look.